On the North Sea between the Orwell and Deben Estuaries, Felixstowe is a coastal town with both an Edwardian spa resort and a major shipping port. The Port of Felixstowe is the busiest in the UK, with almost half of Britain’s containerised trade passing through every year. This huge enterprise is on the Orwell Estuary, which is shielded by the aptly named Landguard Peninsula. This was the site of the last attempted seaborne invasion of England in 1667 and is armed with one of the best preserved artillery forts in the country. As a holiday destination, Felixstowe came into its own in Edwardian times when the upper class came to “take” the spa waters. On the seafront there’s a tapestry of ornamental gardens from that time, as well as a Spa Pavilion for live entertainment and a newly renovated Edwardian pier. The Landguard Peninsula has been armed with a fort since 1540 to defend the approach to Harwich Harbour. In 1667 this was the site of the last opposed seaborne invasion of England, when a Dutch contingent of 2,000 landed at Felixstowe Beach and were fought off by the Royal Marines in their first ever land battle. In its current form the fort dates to a rebuild in the early 18th century, and additional outside batteries were installed in the 19th and 20th centuries. The fort was decommissioned in 1956 and has a labyrinth of rooms and passageways to navigate with the help of audioguides. In the magazines you can find out the kind of firepower that this facility used to wield, while you can climb up the Harwich Bastion for the ultimate view of the Port of Felixstowe. The Victorian submarine mining establishment at Landguard Fort houses the Felixstowe Museum, which has 14 rooms bursting with artefacts. You can examine mammoth tusks, cannon balls, fossils, Medieval coins, Roman ceramics, peer into a submarine mine and find out all about the steamers that used to dock at Felixstowe Pier. There are also some curious medical displays from the defunct St Audry’s Hospital. 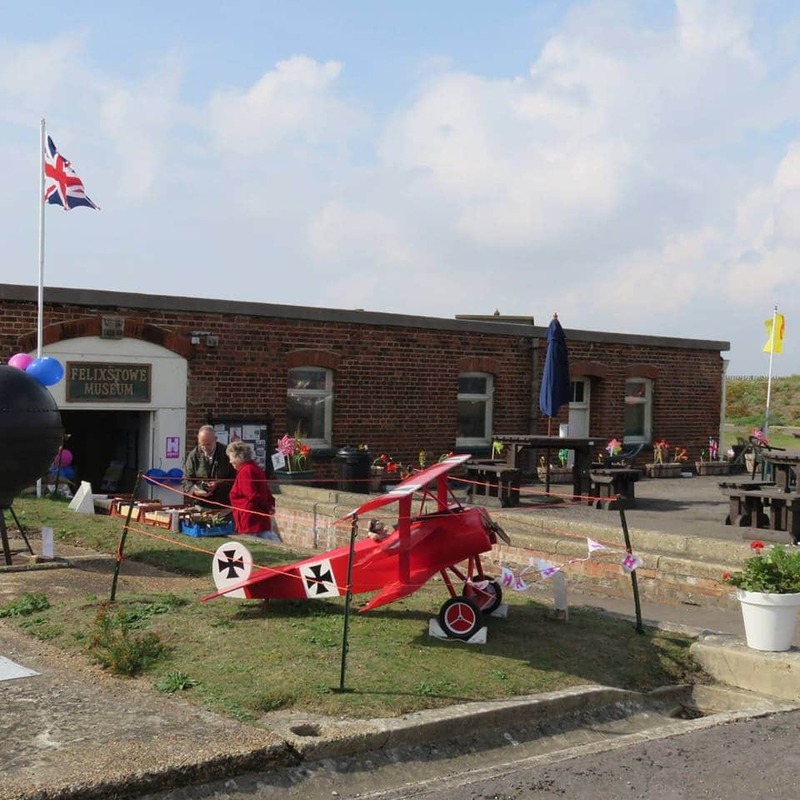 In the Second World War Felixstowe was a Coastal Forces base, and has an aircraft seat, models and RAF uniforms harking back to that time. 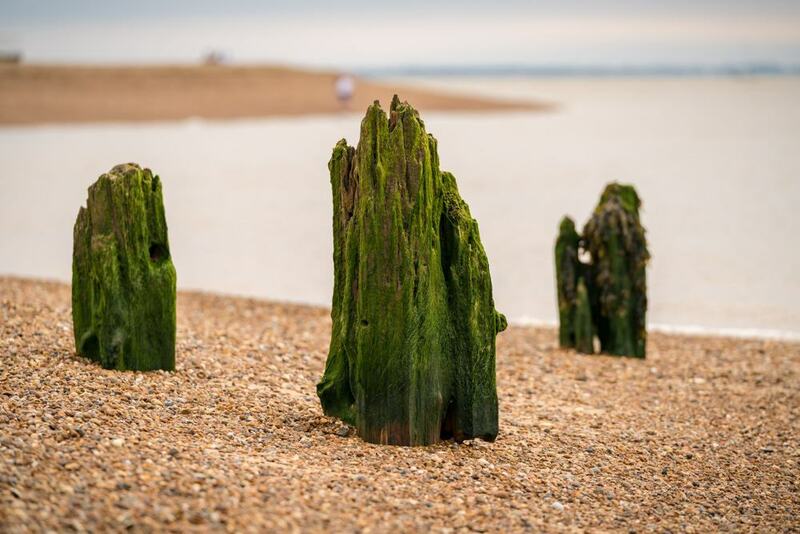 From the 1st to the 4th centuries AD, the Landguard Peninsula was inhabited by Romans, who left behind pottery, coins and jewellery, a selection of which is on show at the museum. North of the pier there’s a string of eight Victorian and Edwardian gardens, which have helped earn Felixstowe the epithet, “The Garden Resort of East Anglia”. These delightful gardens are laid out on terraces cascading down the cliff, forming a continuous pleasure ground. 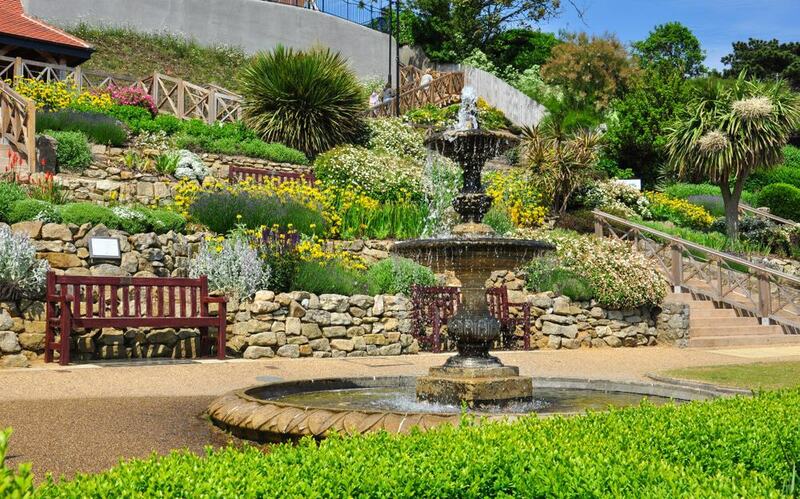 The Seafront Gardens were born with the completion of a pump room, allowing visitors to “take” the natural spring water that rises from the cliff’s rock. The gardens continue, one after the other, for a kilometre along the seafront, and still have most of their original planting, paths, and lots of turn-of-the-century features. There are Pulhamite grottos, waterfalls, fountains, sculptures and elegant old shelters, all in a wonderland of brilliant flowerbeds, exotic palms and immaculately clipped shrubs. A designated heritage trail points out the many fixtures that have survived for more than a century. Central to Felixstowe’s waterfront since 1905, Felixstowe Pier has had a troubled history. 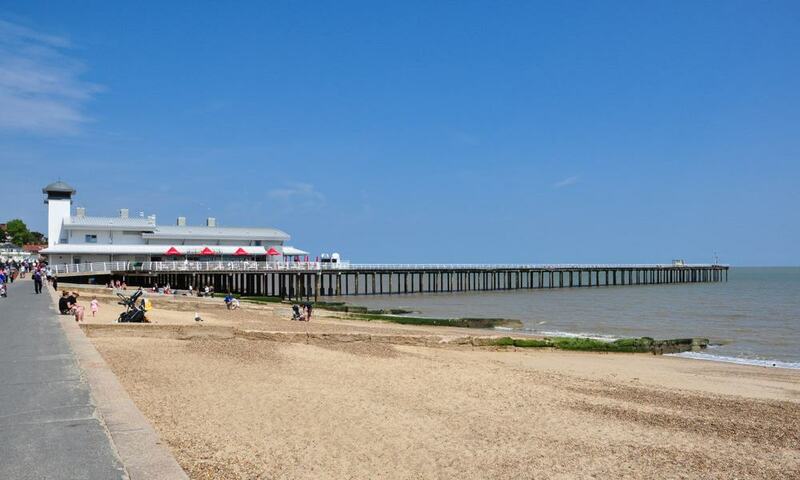 When it opened more than 110 years ago the pier had its own train station and was a landing point for steamers that linked Felixstowe with destinations like London and Great Yarmouth. Fears of a German invasion led to the pierhead being demolished in the Second World War and after decades of slow deterioration the remainder of the pier was closed to the public because of safety concerns in 1999. The good news is that a multimillion pound redevelopment has just been completed at the landward end, featuring a family entertainment centre with arcade machines and retro-style ten-pin bowling. There’s also an ice cream parlour, fish and chip shop and the Boardwalk Cafe Bar where you can savour the distant sea views. Three miles up the coast from Felixstowe Pier you’ll discover Felixstowe’s more peaceful side. Felixstowe Ferry is a lovable maritime hamlet at the mouth of the River Debren. On the shore are old boat huts, weatherboard houses, a pub, a church, a sailing club and a boatyard. Bobbing in the estuary waters are houseboats and small fishing craft, and in the mornings you can buy freshly caught fish next to the water. Two of Felixstowe’s four Martello towers (Napoleonic era coastal defences) guard the waterfront at Felixstowe Ferry. You can reach this charming place on foot from the main promenade. 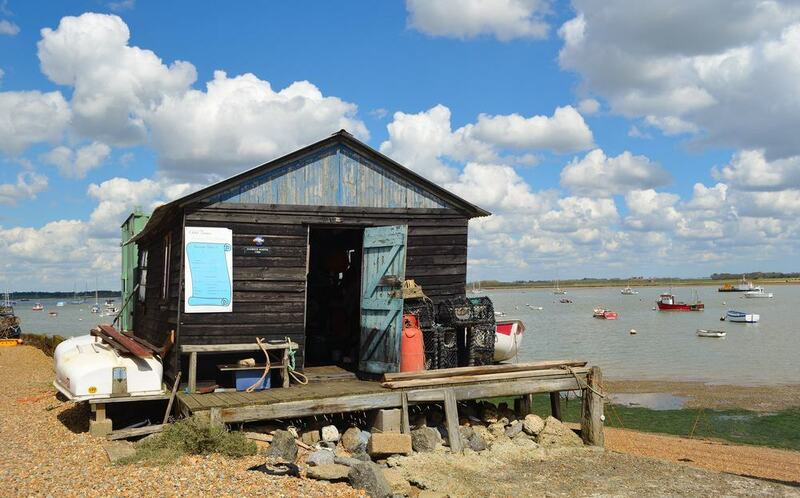 After poking around the hamlet you can catch the ferry over to Bawdsey Manor or carry on up the Deben Estuary. A short way inland you’ll come to the King’s Fleet, a waterway used by Edward III to assemble his fleet before setting sail to claim the French throne at the start of the Hundred Years’ War in 1338. One reason families set a course for Felixstowe in summer is to enjoy the four miles of beach on a sheltered, gently curving bay. Although the beach is continuous, the stretch north of the pier is known as the North Beach and is mostly shingled, while the longer South Beach has a mix of sand and shingles and is the beach of choice for families. 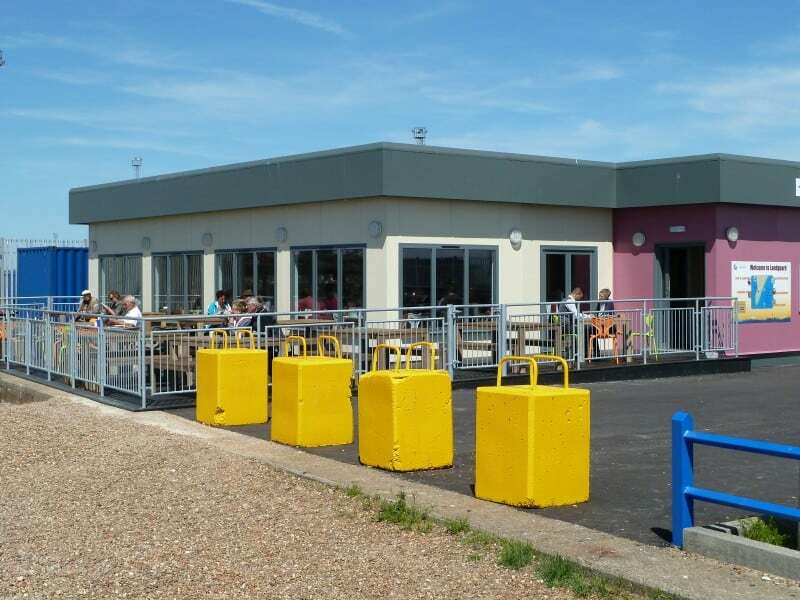 For the full length of the beach there’s a tarmac promenade lined with beach huts and navigated by a road train during the school holidays and on weekends year round. There’s enough sand on the South Beach to build sandcastles, while on cooler days you can take a refreshing walk along the shore, watch the giant container ships pulling into the port and do some beachcombing. All along Sea Road are fish and chip shops, amusement arcades and ice cream parlours in summer. There’s another seafront park behind the promenade at the southern end of Sea Road. Martello Park is named for the Napoleonic coastal defence that sits right on the lawn and has just been restored. 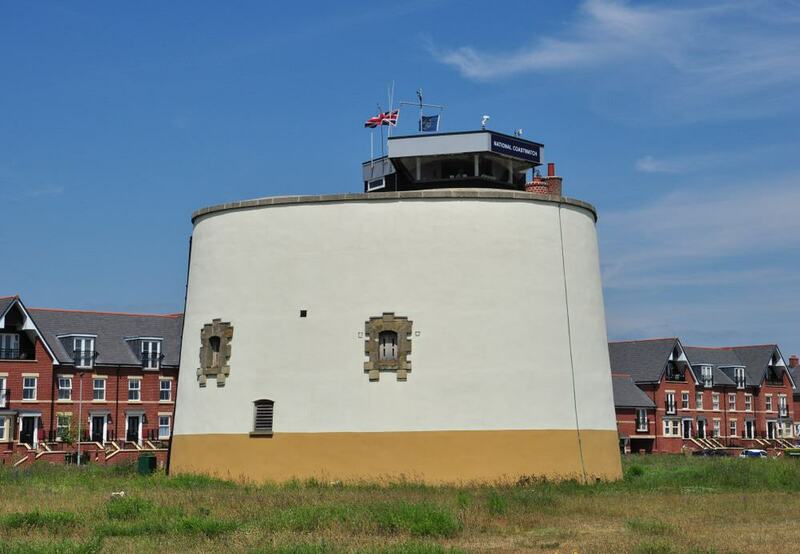 This structure is built from more than 750,000 bricks, and after the Napoleonic Wars became a coastguard station and then a radio station in the First World War. The park has a generous swathe of grass for picnics during beach trips, as well as a splash pad for children, open April to October, and two kiosks for refreshments. Right beside Landguard Fort and the Felixstowe Museum is a visitor centre with exhibitions about the history and nature of the peninsula. Kids can get to grips with hands-on displays and multimedia screens, while there’s also a cafe if you’d like something indulgent, a salad, full meal or just a welcome hot drink in winter. Just in front of the visitor centre you can catch a ferry over the estuary to take a tour of Harwich, which has a quaint old town on a grid pattern. On the shingle beach outside the Landguard Visitor Centre is the best vantage point for the busiest container port in the UK. 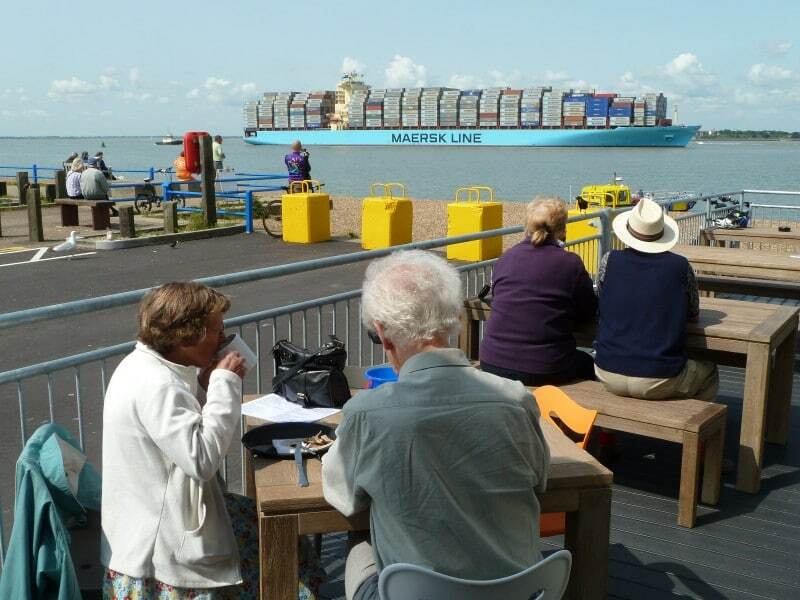 At this outdoor terrace you can watch the Port of Felixstowe’s humungous container ships navigating one of the world’s busiest shipping lanes. Some 3,000 ships dock at Felixstowe Port every year, arriving from 400 ports around the world and run by more than 30 shipping lines. You’ll also see the Harwich/Shotley ferry shuttling across the channel, looking miniscule compared to the immense container ships. Aside from the ships, you can look west and northwest to contemplate the Stour and Orwell Estuaries, or across to the Shotley Peninsula and the towns of Dovercourt and Harwich. 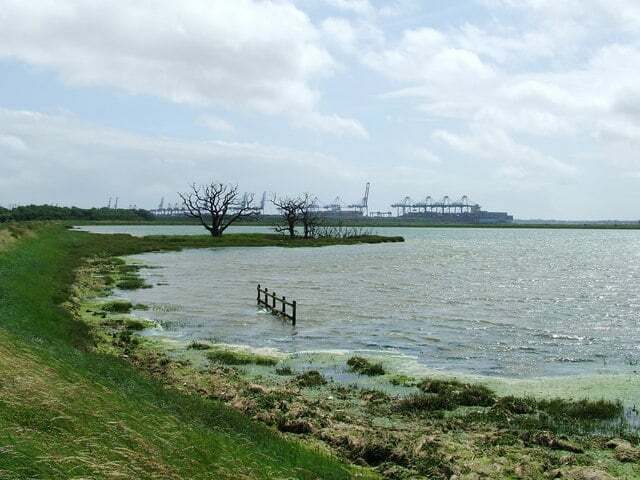 When the Port of Felixstowe was upgraded in the 1990s, this site at the mouth of the River Orwell was chosen as a wetland habitat for migrating and resident birds to replace the Fagbury Mudflats, which were lost in the expansion. It’s incredible to think that until that time the Trimley Marshes were actually farmland, and that the pools, reedbeds and wet meadows have come about by human intervention. Avocets, ringed plovers and tufted ducks nest around the reserve’s lagoon and islands. Spring and autumn bring migrants like greenshanks, curlew sandpipers and common sandpipers, which come to forage on the muddy banks in large numbers. Due to the coastal setting you may be able to spot some species rare to these shores like stilt sandpipers, lack-winged stilts and pectoral sandpipers. 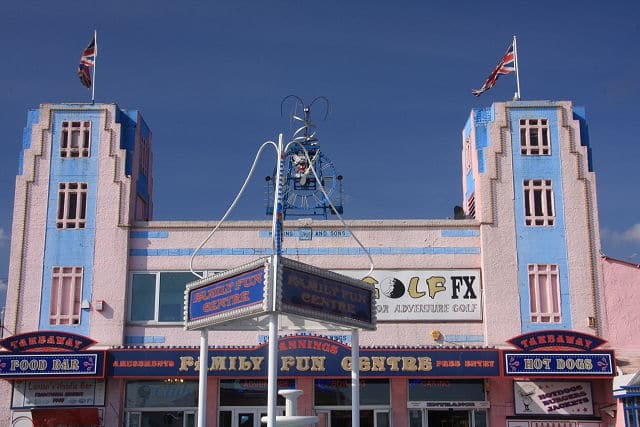 Attractions like this have been the soul of English seaside resorts since Victorian times. 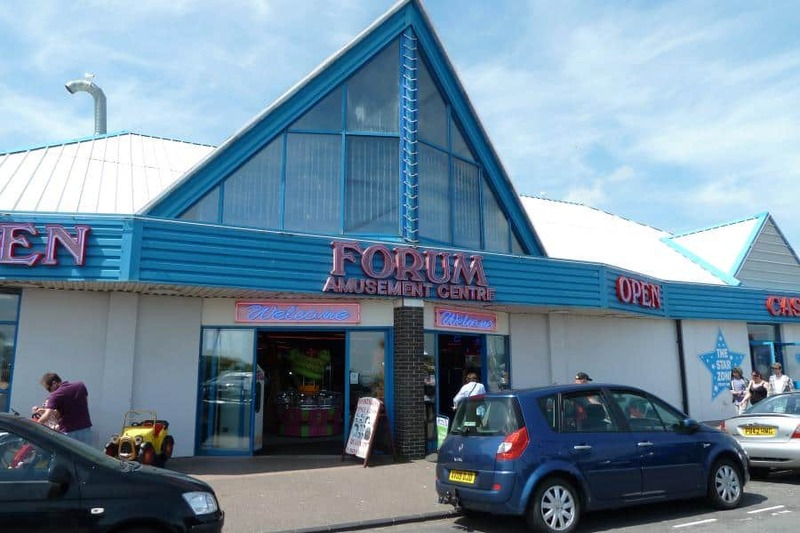 The Forum Amusement Centre is all about games like claw machines, coin pushers, fruit machines and a variety of arcade video games. There’s also an array of those classic games where children and grownups can earn tokens for prizes like cuddly toys. The Forum has a food court for treats like fish and chips, as well as a souvenir shop selling Felixstowe rock candy. Set around a splendid Art Deco pavilion from 1932, Manning’s Amusement Park promises an hour or two of fun for teenagers and younger children. The park has an amusement arcade, crazy golf, a funfair, old-school fair games, a ten-pin bowling alley and a busy market on Sundays. The first owner was none other than by W. E. Butlin, who became famous for his chain of holiday parks, and has been managed by the Manning family since 1946. In its early years there was a man-made rowing lake with an island that was literally inhabited by monkeys. A linchpin of Felixstowe’s waterfront is this performing arts venue first built in 1909 to replace the town’s bandstand. The Spa Pavilion was completely reworked in 1939, but was damaged in the Second World War, which explains its partial Modernist exterior dating to 1950. The gargantuan Art Deco auditorium is from the 1939-rebuild and can seat more than 900 people. The theatre was owned by the Suffolk Coastal District Council up to the 2010s, but was sold off for just £1 as cost-cutting measure. 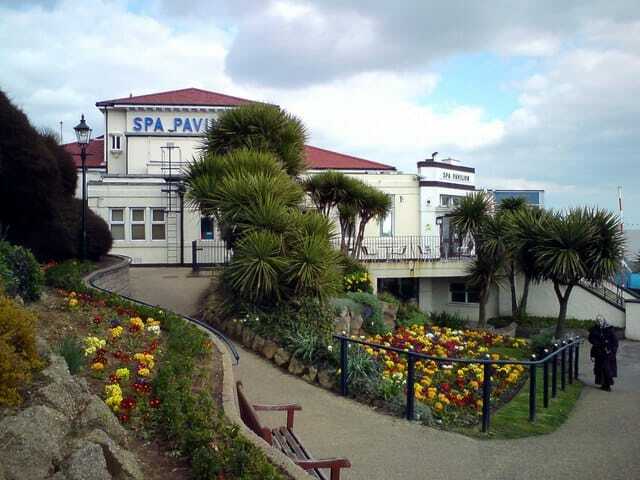 Since 2015 the Spa Pavilions has bounced back as a community venue, and is a go-to for touring comedians, dance companies, musicals, tribute acts and all kinds of guilty pleasures. Families visiting Felixstowe with younger children can use an unconventional mode of transport to get around the long seafront promenade. 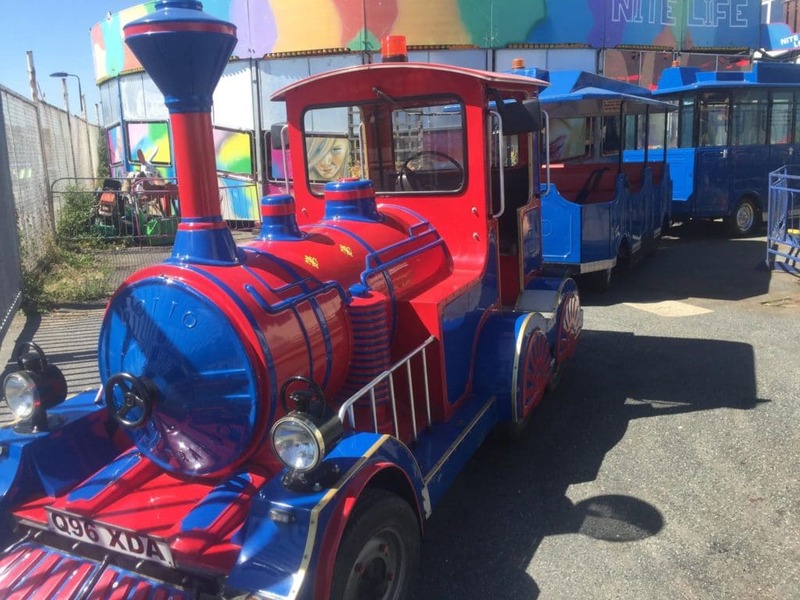 The Felixstowe Road Train runs 11:00-16:00 every day during the school holidays, but also on weekends all year round. You can catch it from Manor End by the entrance to Martello Park in the south, up to the Spa Pavilion. The train stops at Manning’s Amusements, Ocean Boulevard, the Pier and Bent Hill before reaching the Spa Pavilion. Tickets are £2.50 for adults and £1 for children. The highly-rated Felixstowe Ferry Golf Club is the only links course in the county of Suffolk, as well as one of only 246 genuine links courses in the world. The course was founded in 1880 and picks up new awards by the year, including Championship Venue of the Year by England Golf in 2018. 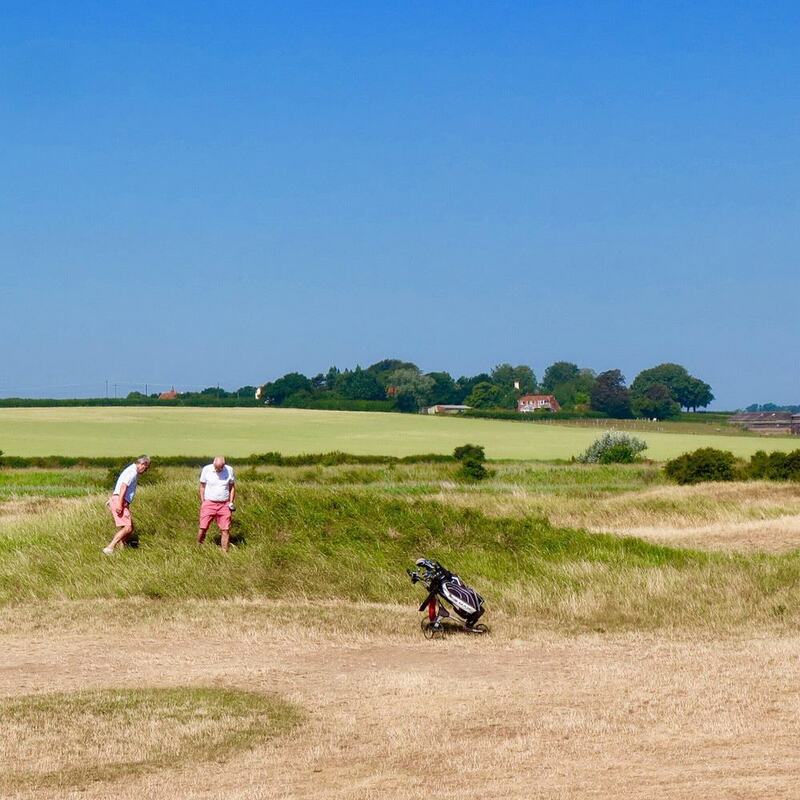 Green fees at the prestigious Martello Course are priced at £60, and it’s an experience not soon forgotten, not least for its coastal scenery, taking in another of Felixstowe’s Martello towers. For a more casual round Felixstowe Ferry Golf Club has a nine-hole pay and play beside the River Debren . Back on Sea Road, families can put their putting skills to the test at Adventure Golf, set among water gardens and strange Mesoamerican statues.